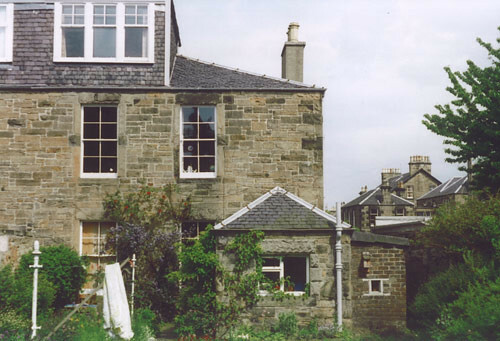 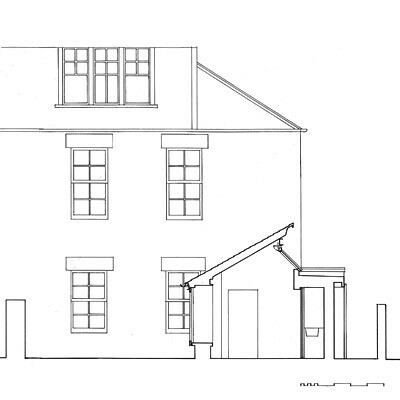 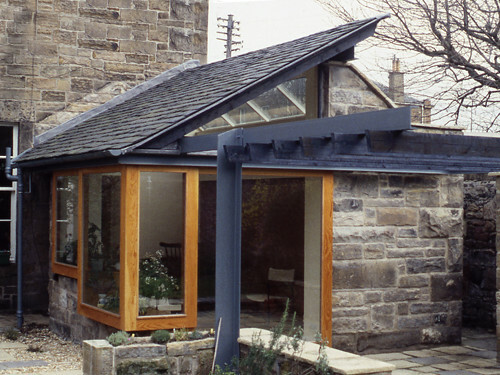 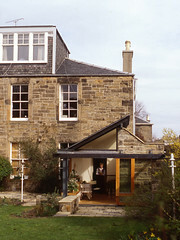 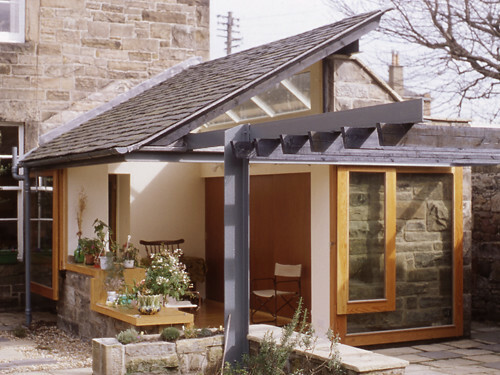 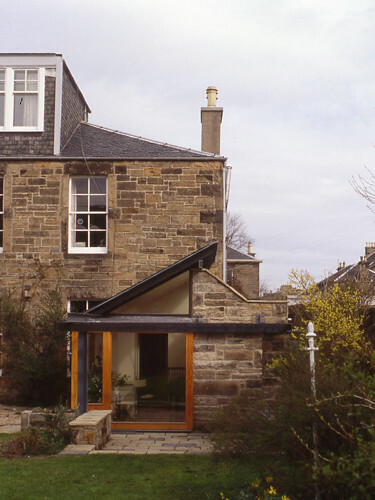 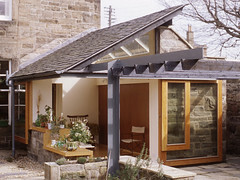 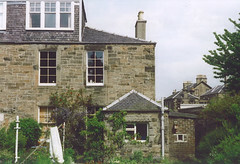 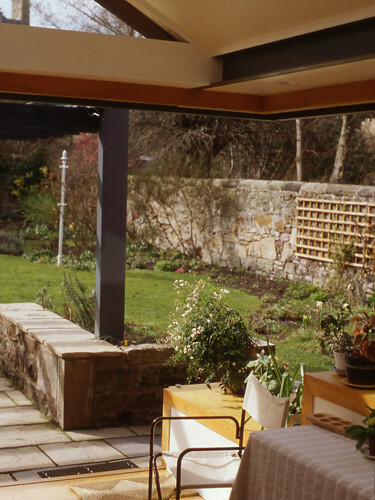 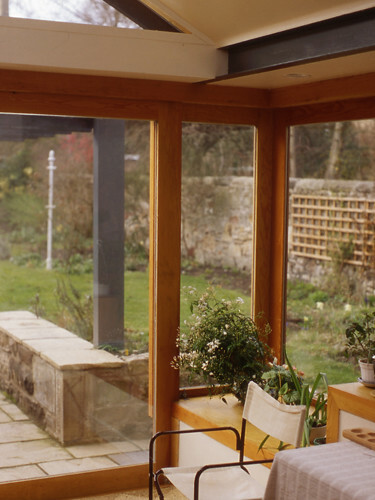 This small project was very typical of the practice in its early years; namely extending a substantial stone nineteenth century villa into a back garden that hitherto had no real interconnection between inside and outside. 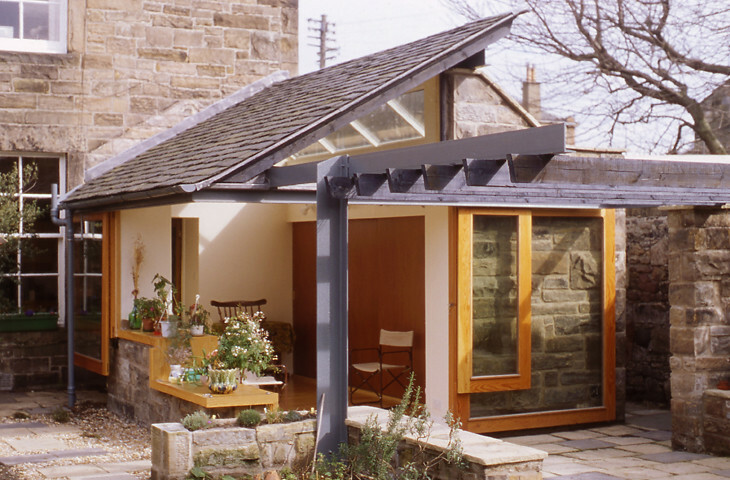 The project was very small (a footprint of 20m²), but provides not only a garden room extension to an existing kitchen but also a fuel store accessed independently, a utility cupboard and pantry. 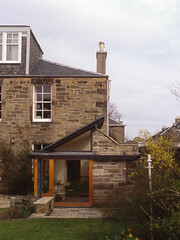 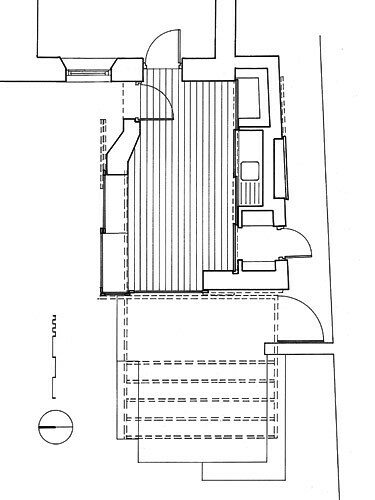 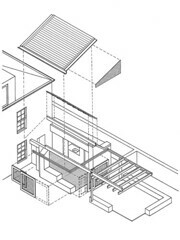 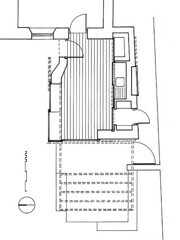 An existing wash-house was semi-demolished and a new structure designed which while looking north and west admits south light through roof lights. 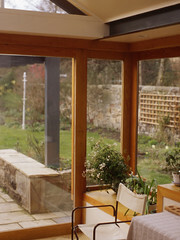 The room itself has sliding doors which open and close in such a way to completely open to the garden in the summertime. A cantilevered pergola completes the composition.